Yesterday was a Japanese national holiday, Ocean Day. The Japanese tend to flock to the beaches to celebrate. It was a perfect day to go to the beach, not too hot with a gentle breeze. Did we go to the beach??? We didn’t! 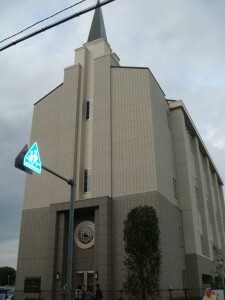 Sunday I heard that our church had completed a new building near Kawagoe and that they were having an open house. 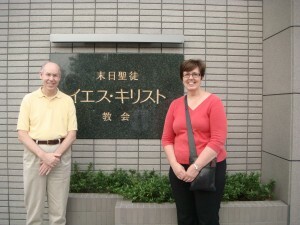 Rick and I decided to go and see what the newest church building in Japan looked like. We arrived shortly after the young singing group, Bless 4, had started their concert. 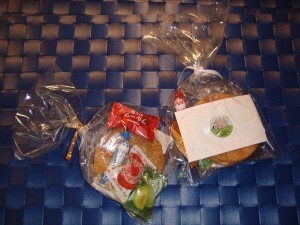 It was a fun concert and we enjoyed listening to them sing in English, Japanese and some songs that combined both. The only thing I could actually sing along to was “Stand By Me.” Most of the Japanese were singing along to that one, too. After the concert we walked around their beautiful new building. We met the members of Bless 4 in the stairwell and they were anxious to shake our hands and speak to us in English. Rick said that from what he understood that they had all attended BYU. Did I mention that we were the only foreigners in attendance besides the missionaries? I am sure they wondered what had caused us to come out from Tokyo (another 3 train journey). 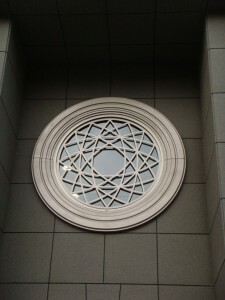 The building was typical of others we have seen in Asia. The ground floor includes a foyer and then an open car park, the second floor has classrooms and the third floor is a chapel/multipurpose function room with a small kitchen and a few small classrooms. The fourth floor of the Kawagoe building is unfinished and for future expansion. Holli and lots of fun! How fun there is a new building! AND you got to go and see it. I love how you guys go and check things out on the weekends and venture all over the place! Dan and love doing that, even here on our little island! 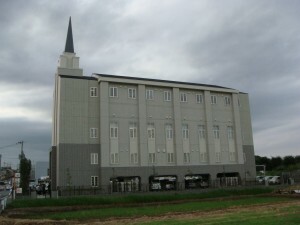 This is a beautiful building! I love that you guys are so venturesome! It’s cool I want to see pics of your home visit! I took my camera and didn’t even pull it out. We were on the run the entire time.